In my previous post, I explained that how to run Remix OS bootable USB Flash drive with Oracle VM VirtualBox. In this post, I’ll show you how we can check all remix OS features with VirtualBox without any USB drive. This tutorial is useful for those who don’t have a fast USB stick & they only want to check Whats features in Remix OS. So how to see Remix OS features without Pen drive. How to See Remix OS Features on PC without USB Flash Drive? Run Remix OS on PC without pen drive? Start Oracle VirtualBox virtual machine. Select any pre-installed Operating System (Windows, Linux, Mac, Solaris etc.) or you can install any Operating System for the use of Remix OS. After selecting OS click on Settings (gear) icon. In the Settings click on Storage from the left and after that click on Controller: IDE CD+ icon. 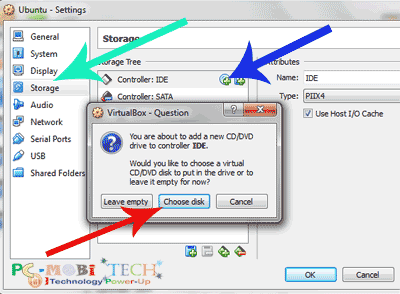 VirtualBox – Question box will appear then click on Choose disk button. Now You’ll see explorer window, go to the Remix OS for PC uncompressed folder & choose Remix OS for PC ISO file & click on Open button. 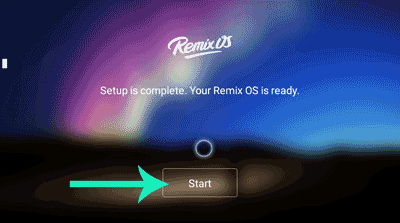 Now start your VirtualBox OS with which you have connected Remix OS to PC ISO file. As soon as you will start VirtualBox OS then Remix OS For PC main installation screen will appear. On this screen Select Guest Mode with up-down key & hit the enter button. Note: You can just check all Remix OS features with VirtualBox in Guest Mode without USB Flash drive. But in Guest Mode, you can only check features and all change reverted when you’ll restart the OS. 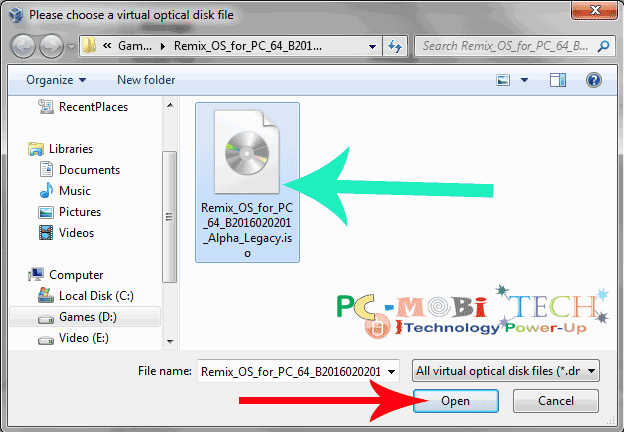 Or if you want to install Remix OS & want to check with PC or with VirtualBox then you will need to create/install a Remix OS on USB Flash drive. How to create/install Remix OS on USB flash drive. Now Remix OS will initialize data. Remix OS Flash Screen Glow for few minutes. 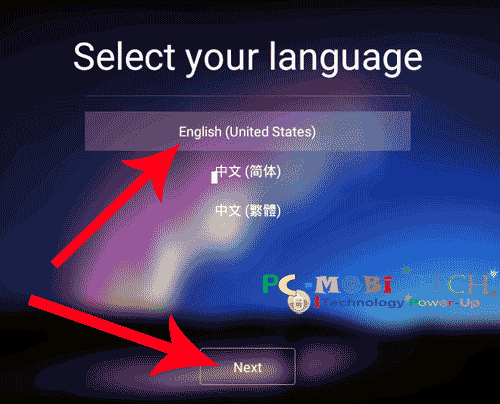 After Installing Remix OS you will need to select your language. Select language & click Next. 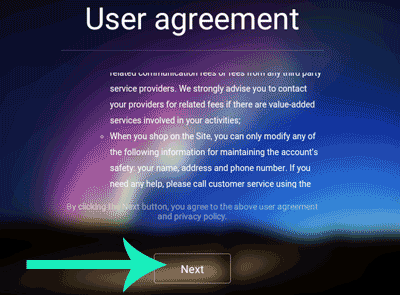 On next screen, you’ll need to Agree to User agreement form. Click on Next to Agree. Now Remix OS setup is completed, click on start button.